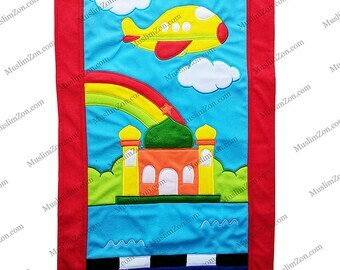 Islamic prayer rug for children, specially designed to inspire little kids to pray. Breath taking! So beautiful and the owner hand makes it. Blessing from Allah! The owner is very helpful. 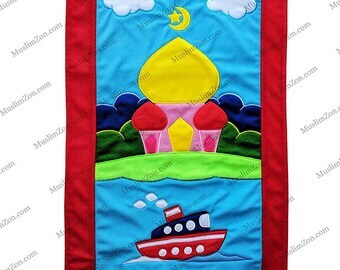 Assalam Alykum & Welcome to MuslimZon.com! 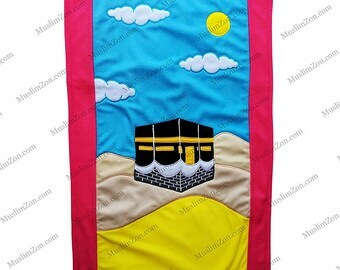 At MuslimZon.com we are an Islamic store selling only Authentic, Quality Halal products at reasonable price. We aim to deliver the widest variety of Islamic products, at extremely competitive prices, with the best customer service and support. It is our goal to serve by following and adhering to the Islamic principles and guidelines set forth by the natural Islamic tradition which promotes honesty, integrity, faithfulness, and goodwill towards others. 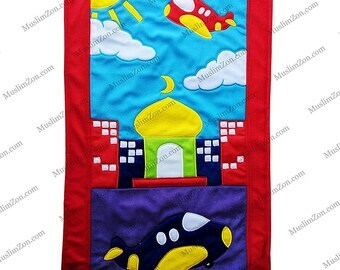 Thank for visiting MuslimZon.com shop. 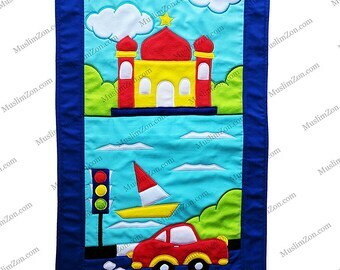 We are very happy you stopped by and we hope you are pleased with our products. We believe in making every occasion a special for you and your family. Have a pleasant shopping!